This classic farmhouse on the Parker Ranch in Hawaii features a wraparound porch and gracious entry porte-cochere. 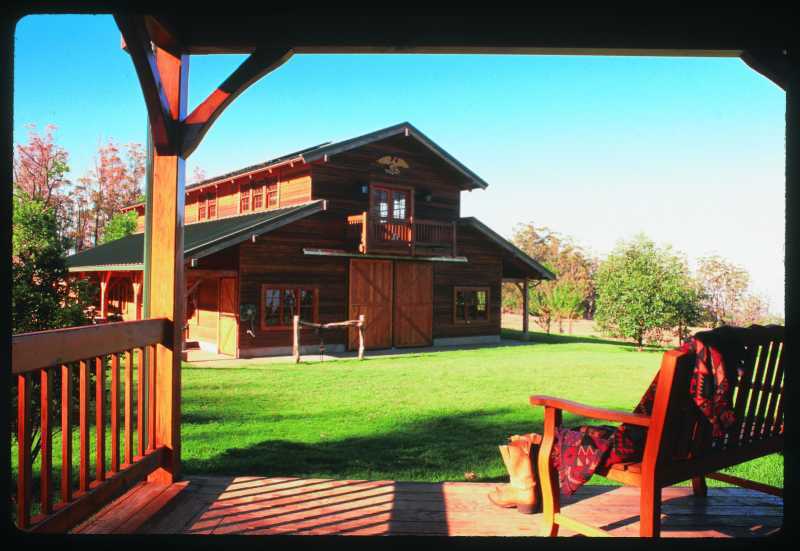 The house, horse barn, and guest house are all of timber frame construction. The interior derives its character not only from the timber-framed structure, but also from the wood paneling used throughout.